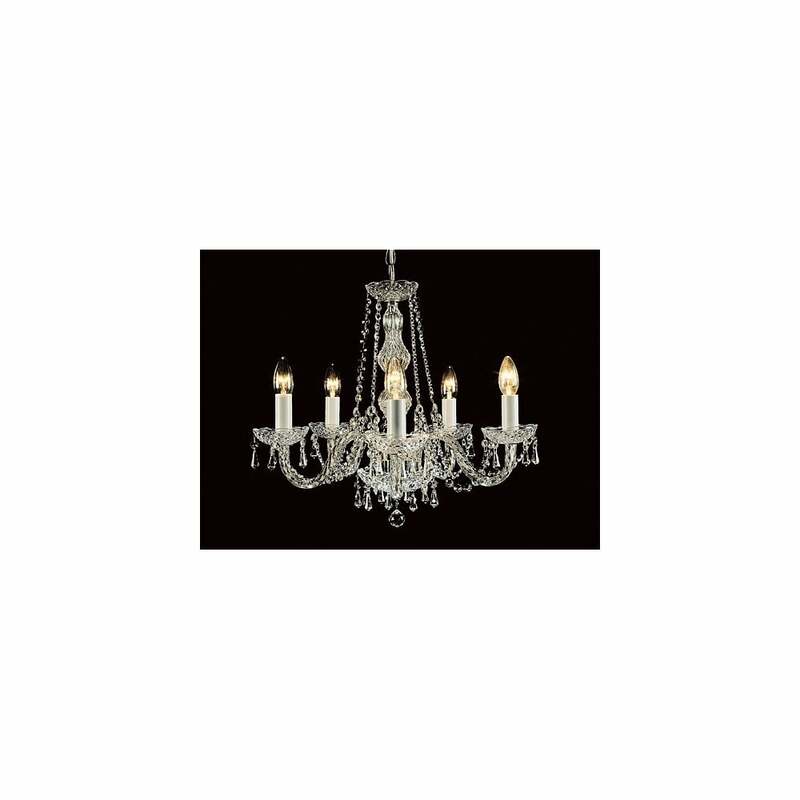 A decorative luxury 5 light crystal chandelier, perfect for lighting over a dining room table or in a long drop stairwell as a piece of feature lighting. The light can also be used on a dimmer switch for control over the level of light output. Perfect for those looking for a statement piece that adds sparkle to any deserving setting.